... to "What happens when a pike swims off with your lure?" 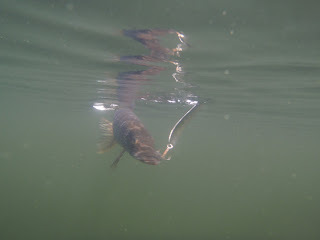 I'm relieved to know I'm not killing Northern Pike unnecessarily. Good news for the pike, not so much for my lost lures and pocketbook. But for every lure I've lost to a pike, I do hope someone has found it. "The pike shook the lures with ease." And pike are more stressed by long handling and air exposure than just releasing them with the lure.